COMET LULIN BRIGHTENS--VISUAL REPORTS: "Today, Feb. 17th at 4 am, I observed the comet with my 3.5-inch refractor," reports Mariano Ribas of Buenos Aires, Argentina. "It is much brighter than it was just a few nights ago. I estimate the magnitude at +5.6. If this brightening continues, Lulin could reach magnitude +5.0 or even brighter during its closest approach next week." 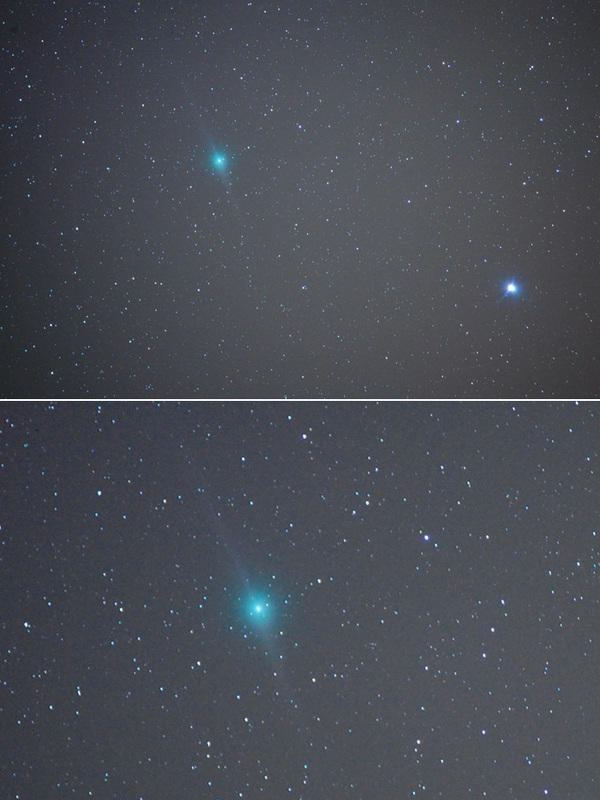 "I observed comet Lulin before dawn this morning, Feb. 17th, and I found it in an instant using 10x50 binoculars," says Martin Mc Kenna of Maghera, N. Ireland. 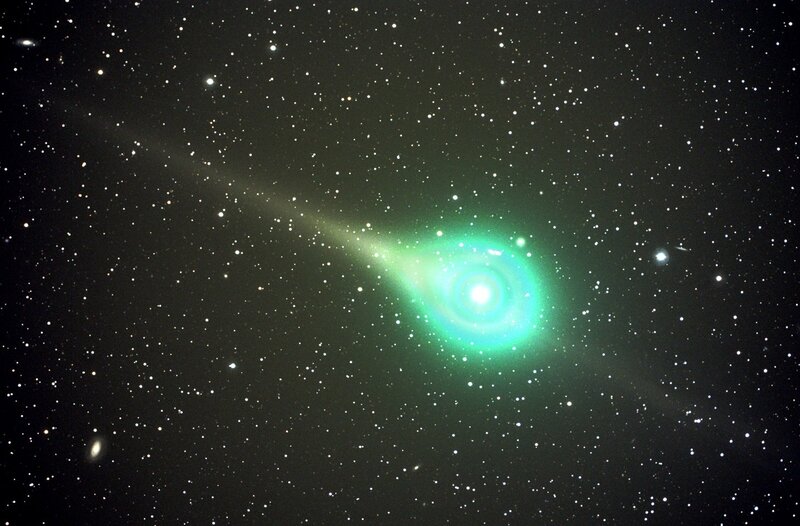 "The comet was very bright and large with a coma 20 arcminutes in diameter. Despite the glare of the last quarter Moon, I was very impressed to see the comet easily with the naked eye with even a hint of green colour. From a dark country site, Lulin should be an easy naked-eye object, a view which can only get better at close approach to Earth." "Lulin is bright and it is moving fast!" adds Fredrik Broms of Kvaløya, Norway. 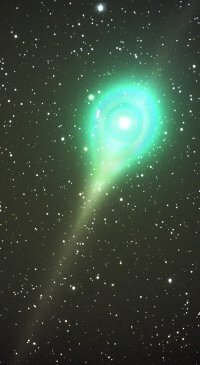 "On Feb. 17th the comet was easily detected in a simple pair of 8x42 binoculars, and with a bit of patience it could just be made out with the naked eye. 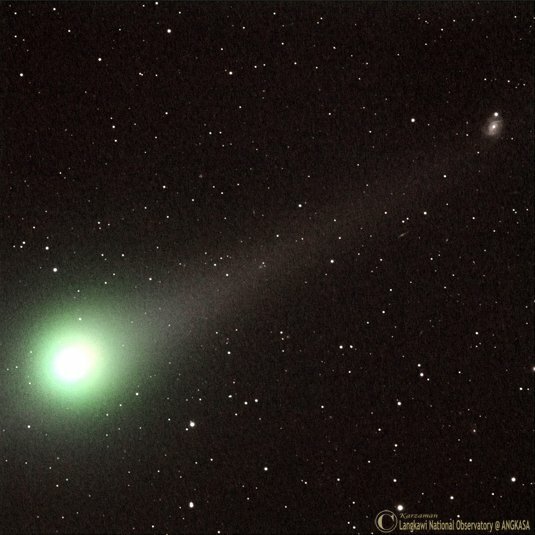 The comet moved a noticable amount during my 4-hour observing session." 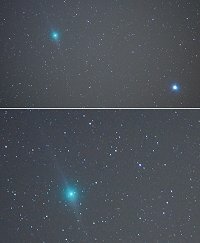 Comet Lulin is growing larger and will not fit in my field of view. Three luminance image movie frames taken over an hour and a half showing tail disconnection event. SBIG ST-2000XM CCD camera, luminance filter. 110mm @ f5.6 and f4 Mamiya RZ lens modded to camera. Each frame is of two consecutive 5 minute lum exposures. 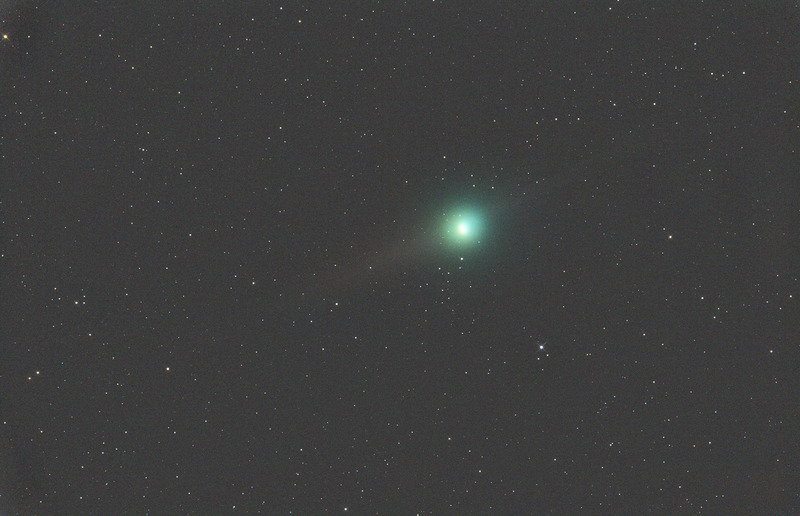 Comet Lulin is brightening and moving faster across the sky. The anti-tail seems quite a bit brighter than the ion tail and has a distinctly reddish hue. Lulin has brightened so much, telescopic amplification is no longer needed to photograph it. 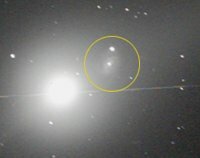 Using an off-the-shelf digital camera, Alex Roca of Hortoneda, Spain, caught the comet passing 4th-magnitude star theta Virginis on Feb. 17th. "I mounted the camera, a Nikon D40, on the back of my telescope to track the stars," he says. "Otherwise, the telescope played no part in this 10 minute exposure."